There is no clear definition for “Tax haven”. It could mean a country or territory which has a low tax rate. It could also mean a country that offers foreign investors financial secrecy, allowing individuals to hide assets from their country of origin. Legal issues arise when individuals use the offshore banking system to avoid paying taxes or transfer undeclared assets during a divorce. Let’s examine the mecca of all tax havens, Switzerland. A population of only 7 million manages 27% of the worlds offshore wealth. For centuries, the Swiss economy has relied so heavily on a secrecy banking system that in 1934 it became a criminal act for a bank to reveal the name of an account holder. In 2007, Bradley Birkenfeld, an American banker working for UBS, one of Switzerland’s largest banks, became a whistleblower disclosing a colossal tax evasion scheme involving thousands of Americans. 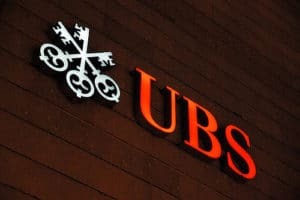 As a result of Birkenfeld’s information, UBS was fined $780 million and had to release information on American tax evaders. At the end of lengthy negotiations UBS provided U.S. authorities with 4500 clients out of an estimated 52000. The U.S. government offered a limited time amnesty to its citizens hiding money abroad. Those who confessed, pay their taxes and penalties the government would not prosecute. 15000 Americans voluntarily came forward. Birkenfeld was sentenced to 40 months in prison and fined $30,000 for his part. Six weeks after Birkenfeld was released from prison he received a $104 million award from the IRS Whistleblower Office. The Swiss banking system was beginning to crumble and needed immediate overhauling. In 2009, the Swiss amended their federal banking law. They also signed the Convention on Mutual Administrative Assistance in Tax Matters on 15 October 2013 and on May 27th 2015, Switzerland signed an agreement with the European Union. Under the agreement, both Switzerland and European Union countries will automatically exchange information on the financial accounts of each others residents from 2018. This agreement is seen as the death knell for Swiss bank secrecy.